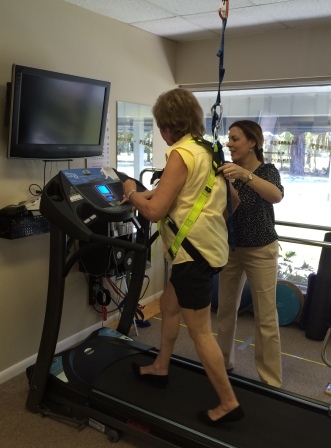 Why should you choose Island Therapy Center for physical therapy? We schedule true one-on-one sessions. Don't settle for sharing your therapy time with other patients! You will be evaluated and treated by the same therapist each visit. This ensures consistent care and faster recovery. 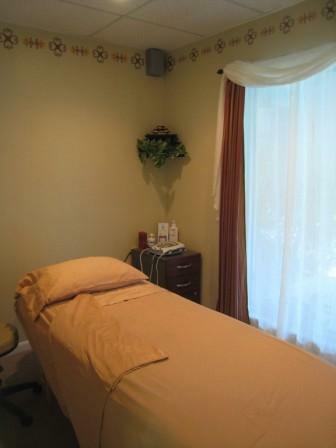 We strive to ensure you are always treated by the same therapist, schedule permitting. We hire only experienced, skilled, licensed physical therapists. You will not have treatment by aides or assistants. We do not over-book our therapists. We want you to have your therapist's undivided attention. This also means you should book ahead for appointments to ensure your preferred times! We do not subscribe to a "no pain, no gain" approach! True, some shoulder and knee rehab techniques can be uncomfortable, but we want to get you better ASAP, and will manage your pain symptoms effectively. 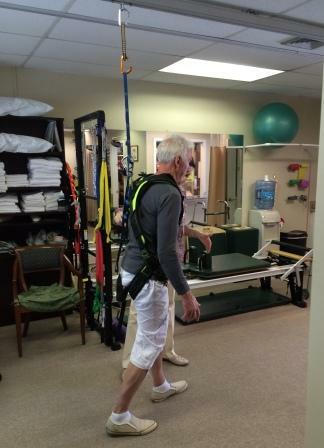 We use evidence-based approaches to treat pain and mobility problems for effective relief. Two of our four physical therapists are Doctors of Physical Therapy, and all have advanced training and certifications in several areas of physical therapy. We offer a choice between insurance-based billing or a discounted flat-rate, cash-pay fee per session. This takes the guess-work out of knowing how much your physical therapy sessions could cost, especially if you have a high deductible, are out-of-network or have no insurance. You always have a choice in where you receive your therapy services! Even if you have been referred to another clinic, or are not sure about your insurance coverage, we accept referrals for other clinics or health systems and will stay in close communication with your doctor. please book ahead by at least 2 weeks. is especially designed for individuals with mobility or medical issues who want to exercise with a skilled trainer under physical therapy supervision. 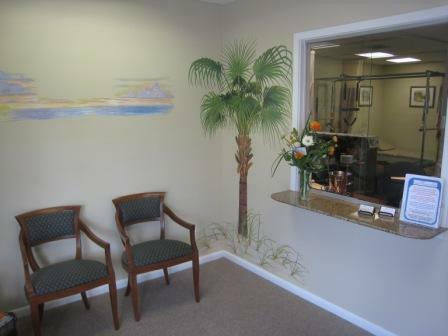 Our comfortable, well-appointed clinic is conveniently located on Sanibel's main street. in the Sanibel Square Plaza, 2.5 miles west of the Causeway, near the Sanibel Bean. The main entrance to the clinic is from the parking-lot area for ease of accessibility, between Sanibel Susan Realty and Norm Zeigler's Fly Fishing Shop. Please call us at (239) 395-5858 for information or to schedule an appointment. We are in-network, participating providers for Medicare Part B, and are approved out-of-network providers for most major insurances (except HMOs). We will also process out-of-network insurance benefits and offer a self-pay flat-rate. We also offer discounted cash-pay rates for clinic sessions. A physician's referral for physical therapy in Florida is not required for the first 30 days of treatment, however some insurance carriers require you to have a referral for coverage. 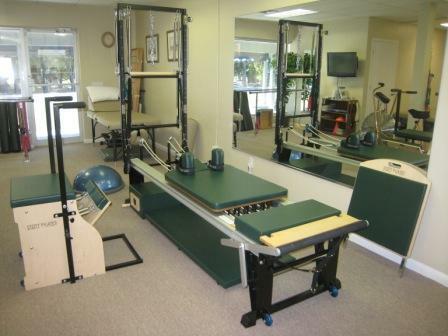 Please check our Physical Therapy page for details. We make it easy! Referrals and prescriptions for therapy can be faxed from your physician's office to (239) 395-5857 or brought directly to the center. If your physician is unfamiliar with our services, referral forms can be printed from the Patient/Physician Forms page and brought to your physician's office. Various products are available for sale in our clinic to improve your well-being. These include: Biofreeze Gel, Rock Tape (kinesiology tape), Hot Packs, Cold Packs, Foam Rollers, TENS Units, Electrodes, Therapy Balls, Exercise Bands, Exercise Band Accessories, Stretch-Out Straps, Shoulder Pulleys, Thera-putty, Neck Rolls, Back Supports, Compression Stockings and Sleeves.